Elizabeth A. Banham is a tireless advocate for people in California who have suffered through medical errors, abuse or neglect. As a top-rated lawyer in San Diego, her focus is on catastrophic injuries, birth injuries and fraud in the healthcare context. If a case involves abuse of advertising, systemic errors that can be changed through mediation or litigation, fraud with records, misuse of structure to hide liability or manipulation of the bottom line to cover up corporate-level neglect, she is very interested in holding wrongdoers accountable, creating change, achieving justice and winning large verdicts, awards and settlements for clients of the firm. Ms. Banham is a graduate of Drexel University in Philadelphia and received her Juris Doctor degree from the University of San Diego School of Law in 1986. Ms. Banham also received a certificate in Comparative International Law from Temple University for study she completed in Rome, Italy. Ms. Banham was admitted to practice law in Pennsylvania, New Jersey and California in 1987 and Massachusetts in 1989. Ms. Banham now practices solely in California. She was formerly with the County of San Diego, and was a manager and prosecutor of environmental code violations with the County’s Department of Environmental Health during the 1990’s. For a decade, Ms. Banham served as a Municipal Court Judge Pro Tempore for San Diego Small Claims Court. Now specializing in civil litigation, medical malpractice, fraud in the health care context and elder neglect claims, Ms. Banham is a speaker on these topics for other members of the bar. She has practiced with Jan Mulligan for two decades. 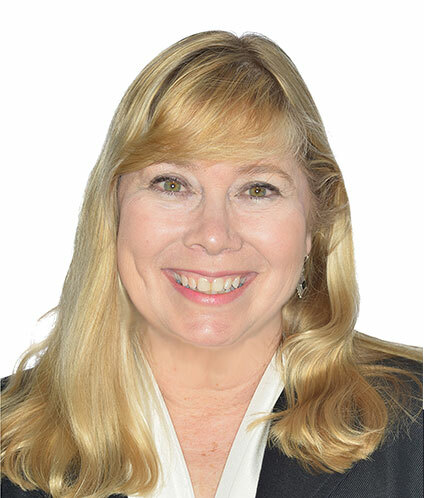 Ms. Banham is an active member of the San Diego County Bar Association, Lawyers Club, the Consumer Attorneys of San Diego and the Consumer Attorneys of California. She has been named to Superlawyers every year since 2011. Ms. Banham is AV Preeminent 5.0 out of 5 rated by Martindale Hubbell. She has also been named a Top 100 Trial Lawyer by the National Trial Lawyer’s Association.